Different bloggers have different needs, but there are some requirements that all bloggers share. They all need to create great content, and they all need to stay up to date with the latest trends if they hope to succeed. You need to have a clear goal and a clear purpose, and not being able to manage your blog while on the move is no way to work toward that goal. Working hard is necessary, but working smart is even better. What you need are tools and applications that will get work out of the way and let you focus on writing. If you have a blog, then you simply need the app for your blogging platform, no question about it. Regardless of which one you need to choose, they will all be helpful in expediting the management process and staying up to date. It is even possible to get notifications on your smartphone that will help you respond to comments or emergencies quickly should they come up while you’re out. Out of experience, WordPress seems to be the most well-defined and useful of the three. On it you can edit or add posts to your blog as if you were on your computer. Tumblr might even be particularly well-suited for mobile use, but know that it uses quite a bit of data. Blogger has an app, but it doesn’t seem to save work very well and isn’t updated often enough to be reliable. 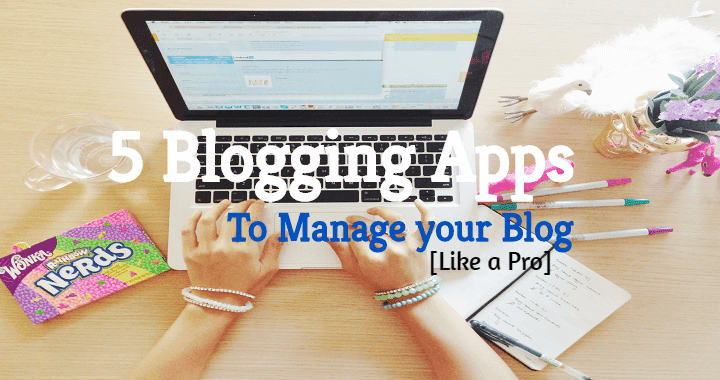 All of that being said, it might be helpful to get all three of the major blogging apps so you can keep track of blogging trends. Just as important as writing a blog is protecting that blog from various cyber threats. If you are out using public networks, then you need to know the risks and the ways that you can defend yourself. The main problem stems from the fact that hackers can easily intercept any data that travels over a public network. This data can include personal information, financial data, business data, or most pertinently, the login details for your blog. If hackers get ahold of this, then you can consider your blog as good as gone. This is why you need a Virtual Private Network to protect yourself, which is a service that you can use to connect your device to an offsite server. This connection will be encrypted so that you can safely use public networks and know that no one can possibly know what you are using the internet for other than using a VPN. In addition, travelers can safely know that their IP address will be hidden by the offsite server, allowing you to research whatever you need to without worries about regional restrictions or government censorship. There are a lot of different VPNs out there for you to use, each with their own particular niche, but you need to find a VPN that will fit you and your blogging and research needs well, so you will want to find one that is well-reviewed and can suit a variety of requirements. Research and knowledge are keys to staying ahead in the blogging world, and you need to know about every major story that comes out in your fields of expertize. This is why you need Pulse, an application by LinkedIn that will take into consideration your requests and interests and use them to create a news feed for you that you can read while waiting for other things. Information is blog’s lifeblood, and good information is the key to success. Yet there are simply too many things in today’s busy world in order to stay on top of everything important, much less the chaff of the internet. The good news to this matter is that Pulse uses professional opinions from LinkedIn in order to determine what articles make the cut for your eyes. If you aren’t sure if you’re getting the right feed, then change your settings and see what you can find. Pulse is available on iTunes and Android and is a great companion for those with a LinkedIn account or a desire to constantly learn. Whatever your purpose in writing a blog, you have a lot of things to remember and a lot of notes to take. Evernote is your best hope to keep your appointments and notes in order so that you can spend less time organizing and more time blogging. In short, it helps you stay more productive. Considering how it is by far the most popular third party app for scheduling and note-taking, you will be glad to know that it deserves its sterling reputation. You can take notes of more than just text. Photographs and other forms of data are welcome for your record-keeping purposes, and there are options that allow you to collaborate with other users if your blog requires it. While there is a premium option available that might worry or intrigue you, the main difference is the amount of data you are allowed to use. If you use text for the most part, then you will be fine with the free version. For more data-intensive notes involving audio or photos, then you will want to get an inexpensive premium subscription. You can find Evernote for any major smartphone OS. While Evernote is a great app for personal note taking and organization, Diigo really shines in the areas of research and annotation. In addition to allowing screenshots and annotation, the application will actually save your annotations for later visits to the same page and uses an account you can save information to. Tagging and note-taking are easy, and you will get used to it quickly. One of the best features on Diigo is an outliner which will either organize your information for you or otherwise follow your customizable instructions to organize it. Another great part of the app is the varied tools that they have for groups and the sharing options within those groups. If you are a blogger that collaborates often, then Diigo is the perfect app for you. 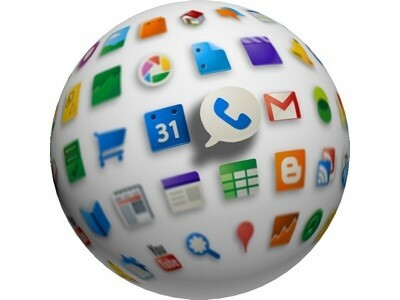 You can download an app to help you on either your iPhone or Android device. It would be wise to investigate their website for more information and tools. These five apps will help you to make your place in the world of blogging and enable you to continue to manage it on the go. Whether it is research, protection or management tools that you need, you can be sure that there will be something to help you. Used together, there will be nothing that cannot stop the dedicated mind. What other must-have applications do you use when you blog? Share in the comments below. Isa Cox is a technology blogger for securethoughts.com, an internet security website specializing in VPN usage. Isa writes about the importance of utilizing a VPN for all of your online activity, especially blogging.